Watch Cases 10 & 11 can be used with or without a dial. To case use the ETA supplied case screws. Do not screw them in all the way, back them off just enough so that just touch the case back, when the case back is closed to a waterproof seal. 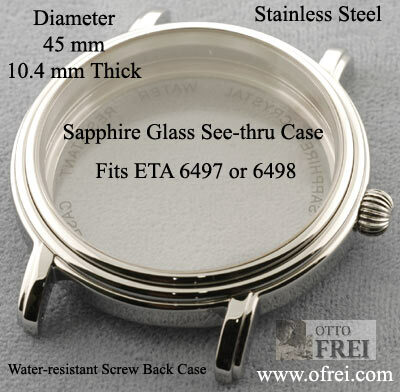 "How to Case a Skeleton Movement Without Dial in Case 10 or 11"
45 mm See-thru back watch case made to fit ETA 6497 & ETA 6498 with sapphire glass on the front and back. 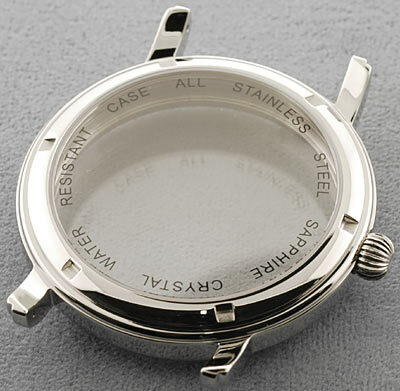 Dial Diameter needed for this case is 37 mm and the case lug size is 22 mm. Dial opening is 36 mm. Stainless steel case is a screw off back and water-resistant. 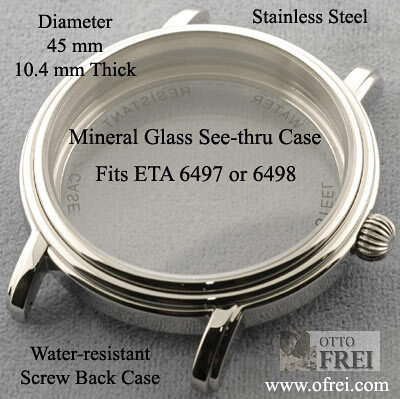 Mineral Glass on top and bottom are used on this 45 mm see-thru back watch case made to fit ETA 6497 & ETA 6498. 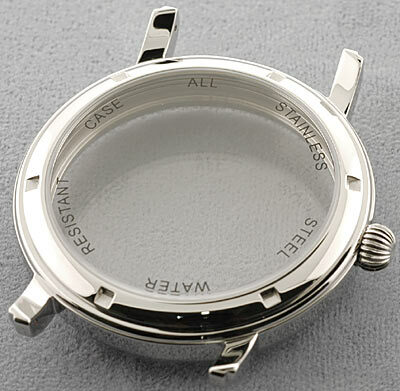 Dial Diameter needed for this case is 37 mm and the case lug size is 22 mm. Dial opening is 36 mm. Stainless steel case is a screw off back and water-resistant. The buckle size is 20 mm, you can request white or yellow buckle in the ordering instructions or order comments box during the ordering process. Buckle end 2 7/8 inches, hole end 4 1/2 inches, on hole end the first hole is at 1 7/8 inches, and the last hole is 3 1/2 inches. 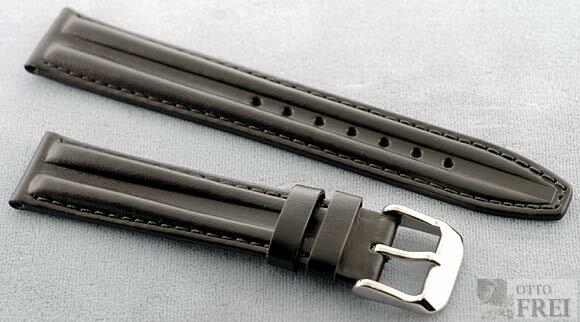 Typical Men's Watch Case will add between 1 1/2" to 2" inches to your calculation, before the case length is added to the equation this strap minimum is 4 3/4" and maximum of 6 5/8". The entire length of this strap band is 7 1/2 inches. The buckle size is 20 mm, you can request white or yellow buckle in the ordering instructions or order comments box during the ordering process. Buckle end 3 1/4 inches, hole end 4 7/8 inches. The first hole on the hole end is at 2 inches, and the last hole is at 3 7/8 inches. A normal Men's Watch Case will add between 1 1/2" to 2" inches to your calculation, before the case length is added to the equation this strap minimum is 5 1/4" and maximum of 7 1/8". The entire band is 8 1/4 inches. Regular length, buckle end is 2.9 inches (74 mm), while the first hole is at 2.05 inches (52.8 mm) and last hole is 3.45 inches (87.5 mm). Case Lug size is 22 mm and buckle size is 20 mm.